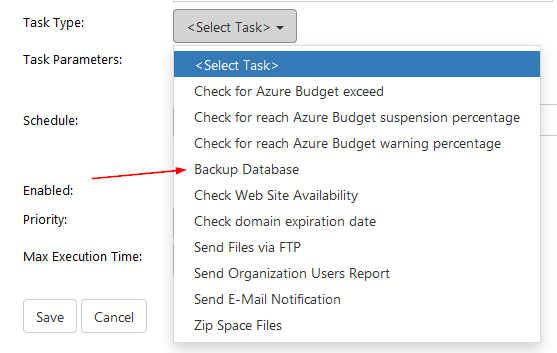 Then select Backup Database task type from the drop-down menu. You will see extra options for this. First, select the database type. 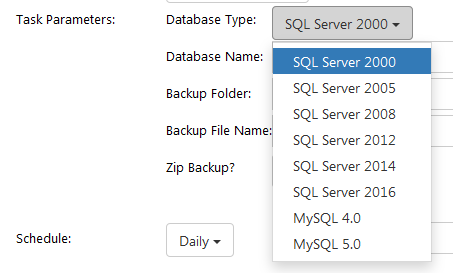 Second, enter database name and choose backup folder and file name. Note: [date], [time] variables are supported. Third, decide whether you want to zip backup.